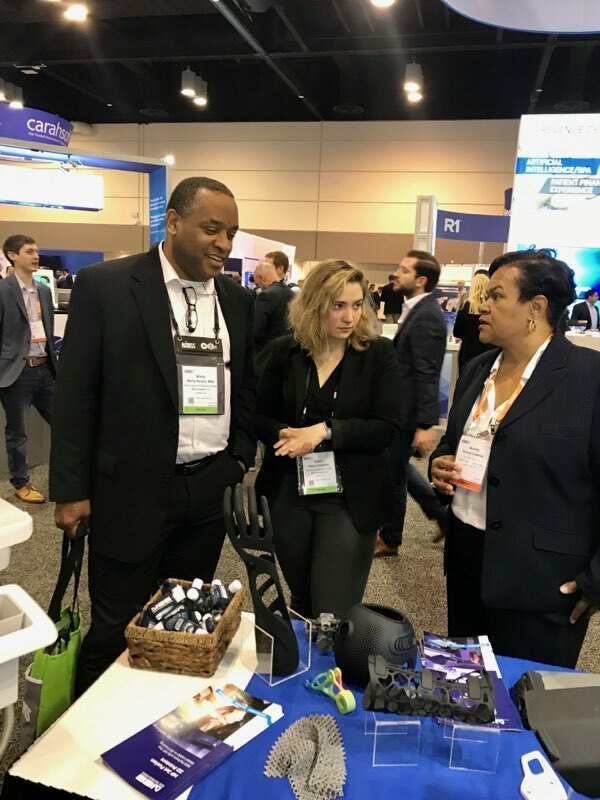 NCS is displaying a variety of innovative healthcare technologies at HIMSS19 Global Conference & Exhibition this week at the Orange County Convention Center in Orlando. 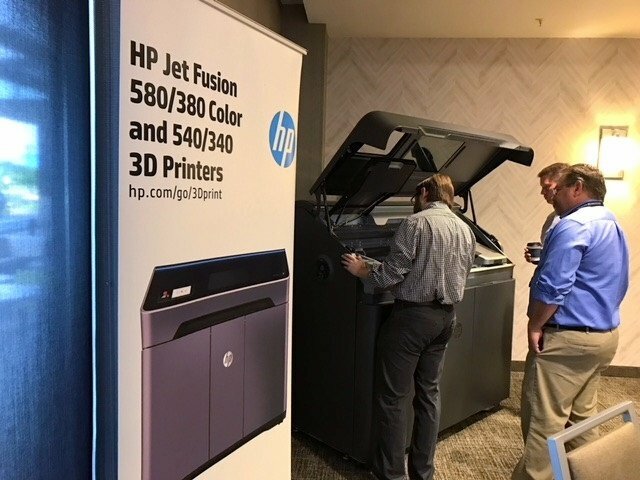 Given the heavy attention at our booth, it is fair to say that the most excitement is being directed at our HP 3D Printing Solutions. We hope you will have time to stop by Booth #7358 and check out our 3D Printing story! HP 3D PRINTING SOLUTIONS - NCS is a leading reseller of HP 3D Printing Solutions. 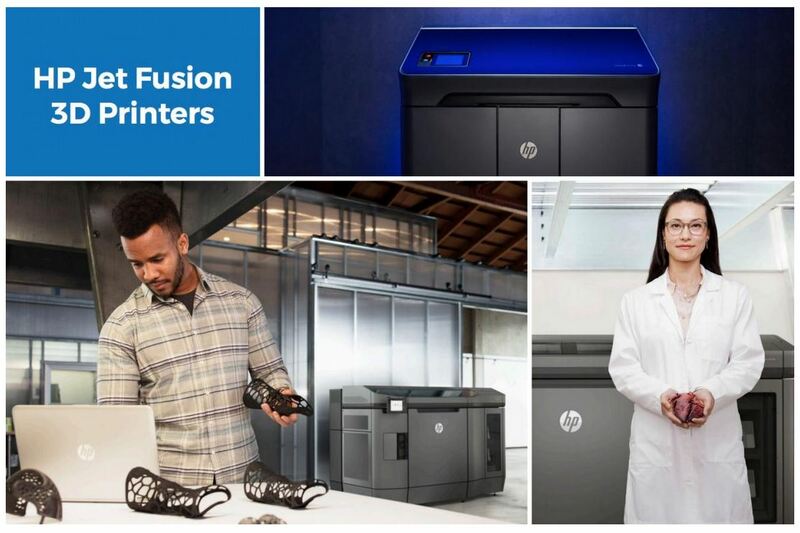 NCS sells and services the compact HP Jet Fusion 580/380 Color and HP Jet Fusion 4200 Printing Solution for industrial prototyping and final part production. 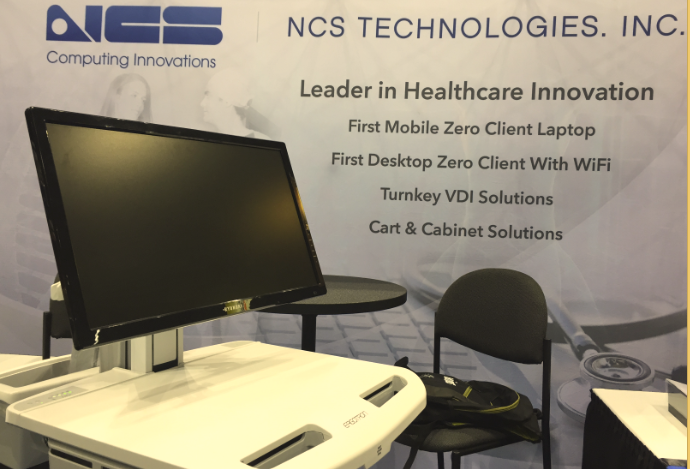 HEALTHCARE IT VIRTUALIZATION - NCS experts in desktop and server virtualization technologies are demonstrating zero client and thin client products from NCS and HP. HP ALL-IN-ONE HEALTHCARE EDITION - On the booth NCS is featuring the HP EliteOne 800 G4 Healthcare Edition All-in-One. The PC is engineered for easy sanitation and with optional integrated authentication and collaboration tools. 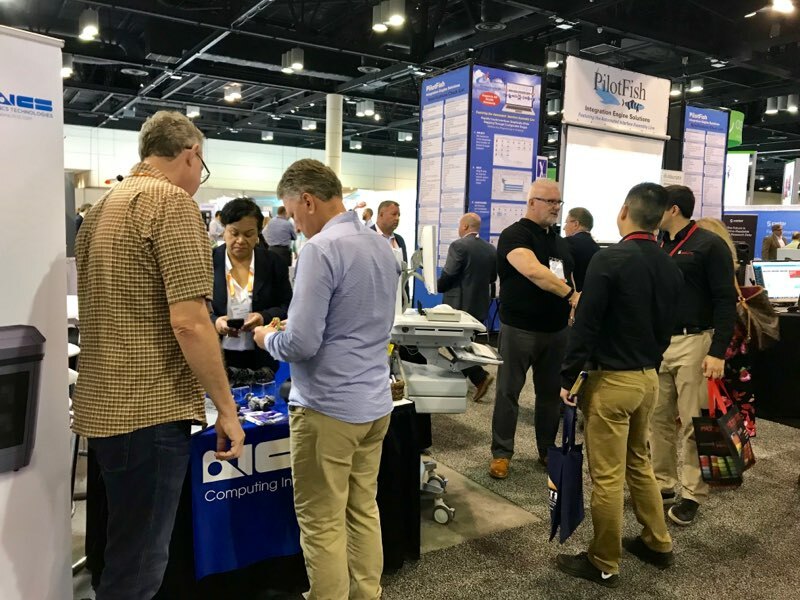 WEST 2019, sponsored by AFCEA International and the U.S. Naval Institute, opens today at the San Diego Convention Center and runs through Friday. WEST is the premier naval conference and expo on the West Coast, now in its 29th year of bringing naval and industry leaders together. 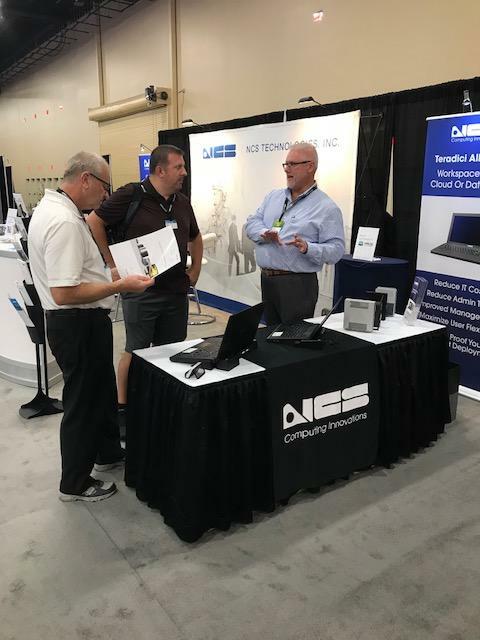 NCS has HP 3D Printing and rugged server experts on Booth #724. Please stop by! WEST provides the opportunity for makers of platforms and designers of technologies to network and demonstrate solutions to the military community. HIMSS19 Global Conference & Exhibition opens today at the Orange County Convention Center in Orlando. HIMSS, with more than 45,000 attendees from more than 90 countries, is the premier health information and technology conference. 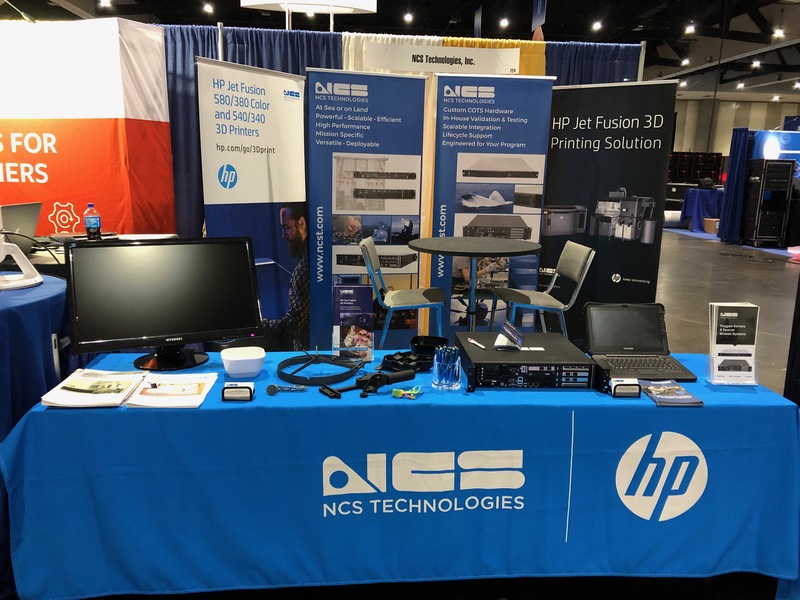 HEALTHCARE IT VIRTUALIZATION - NCS experts in desktop and server virtualization technologies are at the booth, demonstrating zero client and thin client products from NCS and HP. WEST 2019 sponsored by AFCEA International and the U.S. Naval Institute opens Wednesday at the San Diego Convention Center and runs through Friday. WEST is the premier naval conference and expo on the West Coast, now in its 29th year of bringing naval and industry leaders together. NCS will have HP 3D Printing and rugged server experts on Booth #724. Please stop by! WEST provides the opportunity for makers of platforms and designers of technologies to network and demonstrate solutions to the military community. This event features leaders including the Chief of Naval Operations, the Director, Surface Warfare, the Commander, Naval Information Services, the Commander, Submarine Force, the Commander, Naval Special Warfare Command, and many others. For efficiency and value in managing its virtualized endpoints, NCS recommends its customers use the Teradici All Access Plan. The Military Additive Manufacturing Summit and Technology Showcase opens Wednesday at the CAMLS Center, Tampa. Please make plans to stop by the NCS table. The Summit and Showcase is designed as an educational and training forum for government, military and manufacturing experts to discuss the latest innovations in the field of groundbreaking 3D printing technology. This year's event will focus on manufacturing processes and capabilities that can immediately benefit war fighters. Joe Andrews of NCS reports that there is strong interest in NCS-HP 3D Printing solutions. To make an appointment to meet with Joe at the show, please contact him at (703) 743-8512. 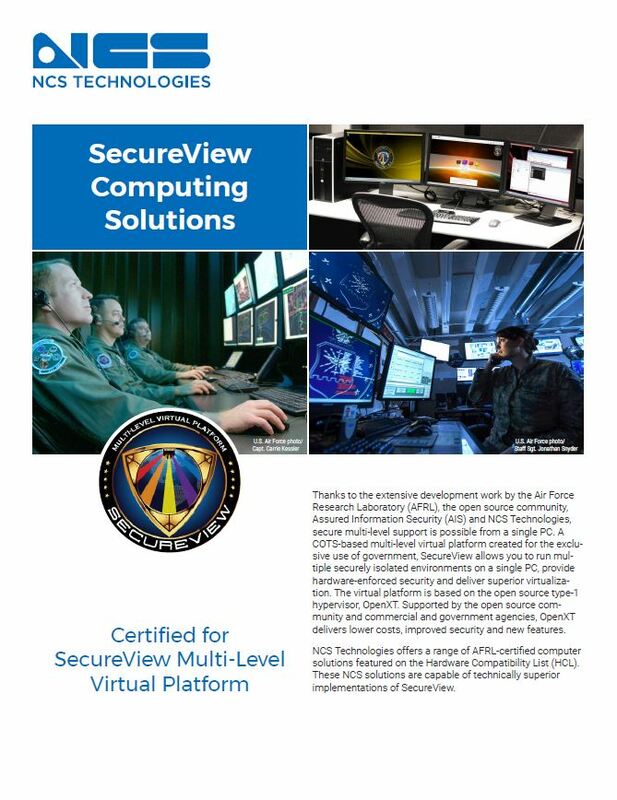 NCS Technologies manufactures servers, rugged servers, appliances and engineering services solutions for all branches of the military. And protecting government networks takes a special strategy. IT administrators must accommodate potential access to various levels of secure networks, depending on the message and the need. This is known as multi-level computing.